Time's running out for Elizabeth. She and her friend Jacob went to a movie they've been dying to see, but it's sold out. Instead of going home, they decide to spend some time nosing around the train depot, and sneaking on board the Fairfield Express. At first, its just a harmless diversion, but after Elizabeth and Jacob are mistakenly locked in, the engine begins to move. 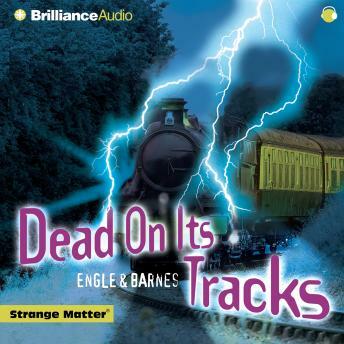 Right before their eyes, the train transforms into a chilling, haunted, death ride. The two kids find themselves confronting the gruesome engineer, a ghoul who supposedly wrecked the engine over a hundred years ago. He explains to the kids that the story is wrong, and the real culprit is an unknown saboteur, hiding somewhere on the train! Now the two adventurers must find the saboteur before the train crashes again, just as it does every time its haunted wheels take to the tracks. But this time the train carries two living passengers, Elizabeth and Jacob, who don't want to end up . . .dead on its tracks.